A clown is energy, is a force an instinct that grows and fills the whole body. It’s to find the child that lives inside each one and learn to play with nothing, leaving our daily lives to discover the extra-ordinary. It is a state of mind that says YES to life despite the injustices and the difficulties that surrounds us. A clown, just like a child, is free: he can laugh and play with everything, and mostly he can break the rules. He is moved from within by an instinct that frees from fears from prejudices, and from social rules. Being a clown is to have a deep knowledge of oneself, is to play with our physical and character peculiarities and defects and to express our passions and obsessions. He teaches us to live in the present, staying watchful to whatever surrounds us, because his biggest resource is the unexpected. The clown dwells in the mistake, in the failure because that’s the occasion that reveals his generosity and naivety, his ability to accept the mistake and turn it into something powerful. The clown speaks a universal language that knows no religious, national or cultural differences, he is the expression of equality, peace and love. The red nose is the smallest mask in the world, but at the same time is one of the most powerful, because it makes people laugh, it is so tiny that we can’t hide nor lie behind it, it demands truth and humanity. When one reaches this kind of awareness the fragility of the human being becomes the greatest weapon to be loved by the audience. There will be a first part dedicated to emotions, spirituality and energy, we’ll work on the ability to listen and focus. A second part of the work will be dedicated to the body, the exercises are meant to make people aware of what they do when they move, we’ll focus on the physical action and on the different languages of the movement. 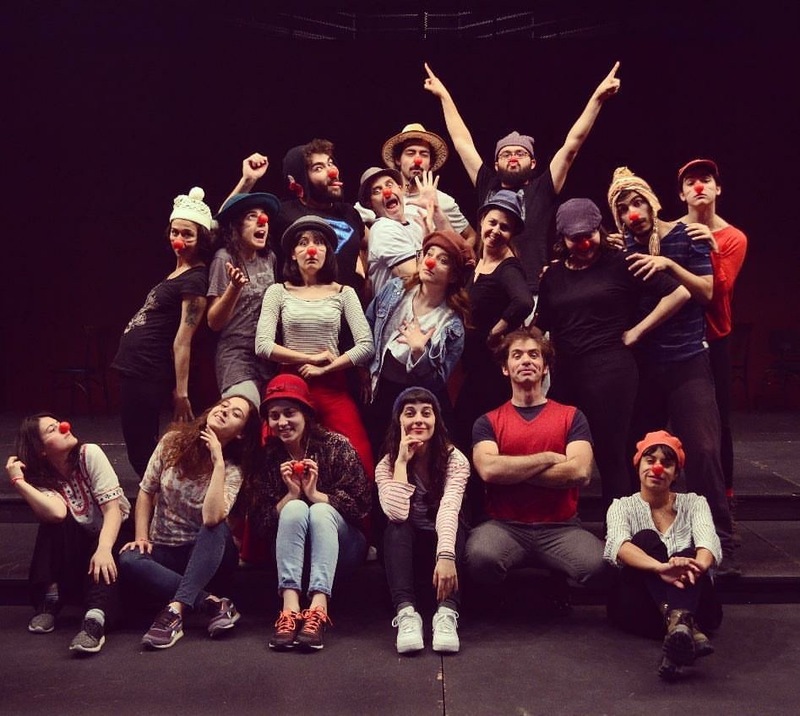 A third part dedicated to the clown will focus on the individual and its creativity. We’ll work on the creation of a clown character, taking inspiration from the individual peculiarities of the actors, from the surrounding world, from the different animals, the use of objects and colors. We’ll play improvisation games, and we’ll dedicate time to play and explore our inner world to make our personal clown come to life. Luigi Ciotta is a professional theatre actor, clown, buffoon, street performer, variety show presenter. He was born in Palermo (Italy) in 1979 and in 2000 he moved to Bologna where he studied Art, Music and Spectacle (known as DAMS in Italy). He completed his thesis on the History of Medieval Art and graduated with maximum marks in 2004. He became fascinated by theatre during his university years. This passion led him to Turin where he studied for three years at the Performing Art University (method J. Lecoq), directed by P. Radice. Since 2005, he has performed in Italy, France, Belgium, Germany, Poland, Slovakia, Switzerland, Holland, Luxembourg, Germany, Spain, Portugal, Turkey, UAE, Israel, Kuwait as a comic actor and street performer and has performed in Italian, French, English and Spanish languages. In 2009 he won the Cantieri di Strada “OneManShow” prize and the Mercurdo Festival dell’Assurdo competition with his show Funky Pudding. In 2014 he won the Cantieri di Strada “OneManShow” prize with his show Sweet Dreams. At present he is performing and working with all of his different shows.